Florida Gov. 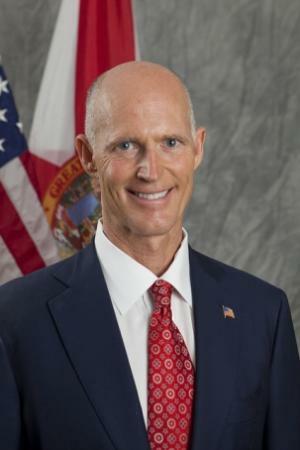 Rick Scott (R) Tuesday issued an executive order Tuesday requiring that current state employees submit to random drug tests and that applicants for state jobs undergo pre-hiring drug tests. The order will go into effect in 60 days for current employees and immediately for new hires, but it certain to be challenged in court. The executive order came as the state legislature grapples with a bill that would require people who apply for state welfare benefits to submit to a drug test -- and pay for it themselves -- before receiving them. That bill, Senate Bill 556, is supported by Gov. Scott and passed the Senate Criminal Justice Committee Tuesday. The bill applies only to workers in executive agencies that answer to the governor. Legislators and their staffs would be exempt. State law already allows for, but does not require, pre-employment drug testing of applicants for jobs at state agencies under the Florida Drug-Free Workplace Act. But the random drug testing of both state employees and welfare recipients is likely to run up against the US Constitution. Federal courts have generally found that random testing of government workers who aren't in jobs that affect public safety amounts to a "search" by the government. Such searches must be "reasonable," generally, and some courts have interpreted such requirements of ordinary government workers as a violation of the US Constitution's Fourth Amendment right against unreasonable searches. A Michigan law requiring drug testing of welfare recipients was thrown out by the federal courts in 2003. The ACLU of Florida attacked Scott's order, saying that a federal court had in 2004 already ruled that the state was violating the Fourth Amendment when the Department of Juvenile Justice instituted a random drug testing program. In that case, a US district judge ordered the agency to halt random drug testing and pay the worker who sued $150,000. While Gov. Scott is coming off as a hard-liner when it comes to drug testing poor people and state workers, he has also zeroed out the state drug czar's office and blocked the state from beginning a prescription drug tracking plan. But then, as the saying goes, consistency is the hobgoblin of small minds. The American Civil Liberties Union of Florida filed a lawsuit Tuesday seeking to halt Gov. Rick Scott's executive order mandating drug testing for state employees regardless of suspicion in what the organization called an extreme overreach of Scott's powers. Scott ordered drug testing of new hires and spot checks of existing state employees under him in March and gave state agencies 60 days to decide how to implement the plan. The state already has the power to test employees if they suspect drug abuse, but this order could apply to state employees regardless of suspicions. "This is a governor who is willing to use the power of government to intrude upon your rights in Florida," said Howard Simon, executive director of the ACLU of Florida. Simon said the lawsuit was the first of several the organization plans to file against Scott and the Republican-led Legislature after a session Simon said trampled on civil rights. "The analysis of urine also tells a lot more about you that is nobody's business," said Simon, including whether an employee is pregnant, or taking heart, diabetes, depression or other medications. The ACLU won a similar lawsuit on behalf of a Department of Juvenile Justice employee in 2004 after a federal judge said random testing without suspicion was unconstitutional. U.S. District Judge Robert Hinkle of Tallahassee determined the department was wrong to fire an office employee because he had no direct contact with children nor were there any safety reasons for the testing, such as carrying a gun or driving. Hinkle did not reinstate the employee but ordered mediation. The state settled with the former employee for $150,000. The U.S. Supreme Court has allowed blanket suspicion-less drug testing only if "the risk to public safety is substantial and real." The ACLU filed the lawsuit on behalf of a union representing about 50,000 state employees and Richard Flamm, a 17-year state employee from St. Petersburg who works as a researcher for the Florida Fish and Wildlife Conservation Commission. The lawsuit comes one day after Scott signed a bill also requiring drug testing for welfare recipients. The ACLU is also considering action against that law. "It's kind of insulting that my boss, in essence the governor, is treating his staff like this," said Flamm. "It's an egregious use of taxpayer money." A spokeswoman for the governor's office called the ACLU's lawsuit oddly hypocritical, pointing out the organization supports other disclosures by public employees but not whether they're fit to be in the workforce. "Floridians overwhelmingly support drug testing state employees because their tax dollars should support a safe, healthy and productive government workforce. The governor is confident the courts will see that this policy makes sense and is legally sound," spokeswoman Amy Graham said in a statement. Florida's Constitution guarantees public employees the right to bargain, but it also prohibits them from striking, giving them little leverage. An attorney for the American Federation of State, County and Municipal Employees, or AFSCME, said the governor's office has not contacted them about the issue. Critics say the tests could cost the state millions, creating unnecessary expenses while government budgets have been slashed. "We have a chief executive saying I want to put perhaps millions of dollars out of my state budget to pay for unnecessary, unconstitutional drug testing when he have an economic crisis, when we have budget slashes. It is disappointing," said Alma Gonzalez , an attorney for AFSCME. The governor's office could not provide an estimate on how much the testing may cost, saying they are still working out logistics. "If it makes good business sense for private sector companies to drug test their employees, why wouldn't it make good business sense for the state," Graham said. Agreements between private citizens and private companies are not protected under the same Constitutional rights as state employees, according to ACLU attorneys.